Fresh spinach & whole chickpeas mixed with Bedawi sauce and dressed with fried onion, lemon juice. Cured yogurt spread served with mint, olive oil & spices. Romaine lettuce, tomato, artichokes, capers, mushrooms, onions, olives, green peppers, grape leaves & feta cheese. Fresh mix of finely chopped tomato, cucumber, red onion, and parsley dressed with feta cheese, olive oil & lemon. Creamy blend of ground chickpeas seasoned with tahini, garlic, lemon, olive oil & spices. Fresh parsley, tomatoes, scallion & bulgur. Green lentils, cracked wheat sautéed with sweet onions. Fresh beets with garlic, parsley, olive oil, vinegar & spices. Potato mixed with garlic, parsley, olive oil, lemon & spices. Spiced rice rolled in grape leaves served with yogurt sauce. 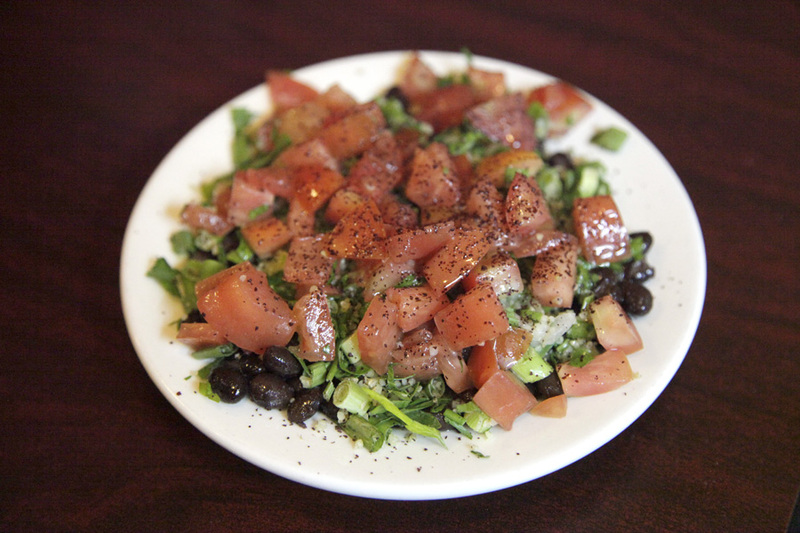 Black beans mixed with plum tomatoes, scallion, finely chopped parsley, bulgur & spices. A choice of any two cold appetizers from the list of Cold Appetizers. A selection of any fie cold appetizers from the list of Cold Appetizers. Fresh unleavened bread baked to order. Velvety smooth soup from red lentils & caramelized onion. Velvety smooth soup from red lentils & caramelized onions. Fresh garlic, parsley & olive oil over pita bread. Spinach, onion, mozzarella cheese baked calzone style. Phyllo scrolls stuffed with feta cheese & parsley, served with yogurt sauce & a small garden salad. Finely roasted leg of lamb slices served with a house green salad, freshly baked pita bread, house mint mayonnaise & a choice of either basmati rice, hummus, or baba ghanouj. Phyllo dough wrapped around pieces of chicken breast, basmati rice, carrots, peas, almonds & raisins, served with a side of yogurt cucumber sauce atop a bed of house green salad. A medley of merguez, chicken and roasted vegetables served with a freshly baked pita bread, a house green salad and tahini sauce. Croquettes of finely ground chickpeas, minced garlic, chopped onion, parsley, cilantro & special seasoning. Roasted mushrooms, tomatoes, sweet onions & green peppers. Spicy lamb sausage mixed with garlic, onion & seasoning. Bedawi sauce with light mozzarella cheese. Finely ground lamb onion, parsley, Bedawi sauce & spices. Sundried tomato slices with fresh mozzarella & spices. Leeks & scallions topped with fresh mozzarella, herbs & spices. Fresh tomato, green pepper, olives & fresh mozzarella. 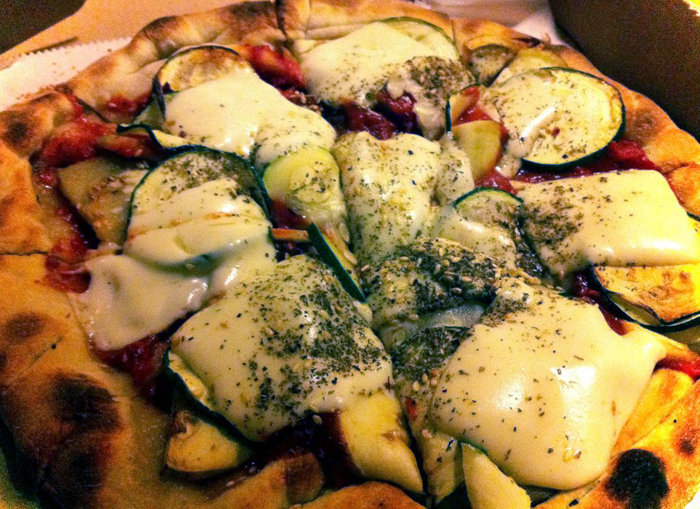 Zucchini, eggplant, fried garlic and onion, a dash of cilantro, Bedawi sauce, spices, herbs & fresh mozzarella. Baby shrimp, garlic, parsley, Bedawi sauce & mozzarella. Lemon-marinated chicken cutlet with red pepper, scallion, spices & light mozzarella. Spicy lamb sausage with red pepper, scallion & mozzarella. Artichokes, olives, capers, garlic & parsley, mushroom, merguez, onions, peppers, spinach & onion, feta cheese, or tomato. Falafel croquettes with lettuce, tomato & tahini sauce. Onion, tomato, pepper & mushroom with lettuce & yogurt. Lemon-marinated chicken breast with lettuce, tomato & tahini. Spicy lamb sausage with lettuce, tomato & tahini sauce. Roasted lamb slices with onion, tomato & mint mayonnaise. Chopped walnuts, cinnamon & honey wrapped in phyllo. Semolina cake baked with yogurt & honey, topped with sliced almonds. Steeped from dried mint leaves. Sundried Middle Eastern citrus steeped slowly overnight. Freshly brewed & sweetened to order. Coffee whipped with milk, caramel, vanilla and cream. Coke, diet coke, gingerale or seltzer.